The Hill College Visual and Performing Arts Department is proud to announce the Spring Semester performances for the Phillip H. Lowe Performing Arts Series. All performances will be held at the Vara Martin Daniel Performing Arts Center at the Hill College Hill County Campus, located at 112 Lamar Dr. in Hillsboro. Admission is free and open to the public for both events. 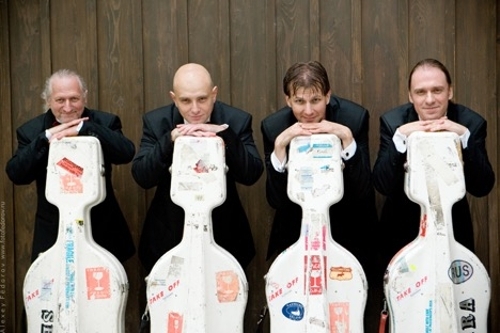 The Rastrelli Cello Quartet will take the stage Tuesday, March 26 at 7:30 p.m. as the third act of the Series. The Quartet is a singularly unique ensemble that has been thrilling audiences with their renderings of non-traditional programming since 2002. Kira Kraftzoff, founder and artistic director, Kirill Timofeev, Misha Degtjareff and Sergio Drabkin formed the ensemble with a mission to perform music “between the genres,” and their widely varied programs mix comfortably works by Bach, Saint-Saens and Tchaikovsky with that of George Gershwin, Dave Brubeck and Leroy Anderson. The name of the Quartet is taken from the 18th century architect Bartholomew Rastrelli, who designed the Hermitage in St. Petersburg, the home city of three of the four Quartet members. The Rastrelli have performed in many of Europe’s great concert halls, including the Gasteig in Munich, Berlin Philharmony, Konzerthaus Vienna, Concertgebouw Amsterdam, St. Petersburg’s Philharmonic Hall, Bulgaria Hall Sofia, the Liederhalle Stuttgart, Leiszhall Hamburg und Mariinsky Theater St. Petersburg. In addition to concert tours in Europe, the U.S. and Russia, the Rastrelli performs at such summer music festivals as the Beethoven Festival Bonn, Schleswig-Holstein Music Festival, Darmstadter Festspiele, Branderburgische Sommerkonzerte, Oberstdorfer Musiksommer, Hohenlohe Kultursommer, Rheingau Musikfestival, Ohridsko Leto (Macedonia) and the Meadowlark Music Festival USA, cooperated with Giora Feidman, David Geringas, King Singers and Gilles Apap. 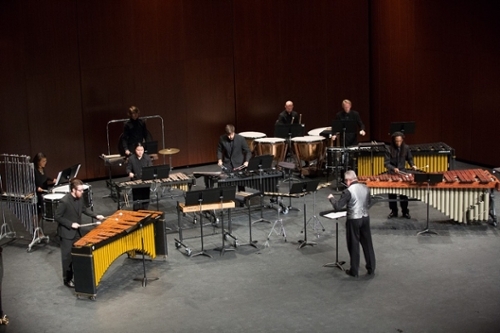 The University of Mary Hardin – Baylor (UMHB) Percussion Ensemble, the fourth act of Series, will perform Thursday, April 18 at 7:30 p.m. under the direction of a nationally recognized conductor and scholar of wind and percussion music, Dr. Stephen Crawford. Dr. Crawford has conducted performances at state, national and international conferences, and has presented percussion clinics at the Music Education Associations of eleven states in the U.S. He is in demand as a percussion artist, clinician, lecturer and guest conductor, having appeared throughout the U.S., Canada, Mexico, Ireland, Taiwan, Indonesia, Scotland, England, the Czech Republic, China, Russia, Belgium, Peru, Netherlands, Latvia and Estonia. Dr. Crawford lived in London as the UMHB faculty member for the London Studies Program in 2009 where he lectured courses in British Music History. Dr. Crawford represents Majestic Percussion, Mapex Drums, and Innovative Percussion as performing artist and clinician. An award-winning composer, his works have been performed throughout the U.S., Europe and Asia. As a university scholar, Dr. Crawford was awarded a 2011 Faculty Research Grant to allow study in the Czech Republic and has also conducted research in Russia, Belgium and Peru. He has been the recipient of the UMHB Faculty Awards for Excellence in Teaching, and Excellence in Scholarship, and is a past nominee for Composer of the Year by the Texas Music Teachers Association. He is currently the President of the Texas Chapter of the Percussive Arts Society. Dr. Crawford’s biographical record is included in “Who’s Who in America,” where he was awarded the Albert Nelson Marquis Lifetime Achievement Award. The Hill College Phillip H. Lowe Performing Arts Series is celebrating 25 years, beginning in 1994. The Phillip H. Lowe Performing Arts Series presents four to six programs per year to students, faculty, staff and the community. These free-admission programs bring outstanding performing artists of all genres to Hillsboro each year and, in addition to the concerts, allows for those in attendance to interact with the artists in the receptions which follow each event. If you would like to support the Hill College Performing Arts Series, you are invited to become a BENEFACTOR ($100), a SUSTAINER ($50), a PATRON ($25), or a SUPPORTER ($10) of the Hill College Performing Arts Series. Also, for a donation of $1,000 or more you can become a LIFETIME BENEFACTOR. Names of Lifetime Benefactors, Benefactors, Sustainers, Patrons, and Supporters appear in each program. Photo cutline: The University of Mary Hardin – Baylor Percussion Ensemble, the fourth act of Series, will perform Thursday, April 18 at 7:30 p.m.